Deputy Attorney General, Mr. Joseph Kpemka, is elated that Nana Appiah Mensah of gold dealership, Menzgold is exonerated of criminal charges in Dubai on Tuesday, 9th April and, asked to be paid several millions of dollars owed him by an Emirati gold firm. Mr. Joseph Kpemka was speaking to Blakk Rasta on Taxi Driver, Ghana’s flagship late afternoon radio show on Zylofon 102.1 FM. It would be recalled that, Mr Kpemka led a delegation to Dubai to seek to understand the case against NAM1 over there and a possible extradition to Ghana to face justice. 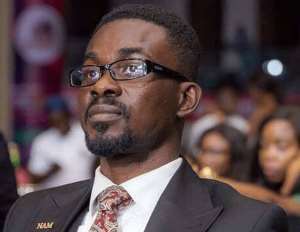 He was, however, shocked to learn that, NAM1 was totally innocent of what he was accused of in Dubai and oredicted a quivk closure to the case so that Menzgold customers could have a breather.